The odds that Joan Ginther would hit four Texas Lottery jackpots for a combined nearly $21 million are astronomical. Mathematicians say the chances are as slim as 1 in 18 septillion — that's 18 and 24 zeros. Just as unlikely? Getting to know one of the luckiest women in the world. "She wants her privacy," friend Cris Carmona said. 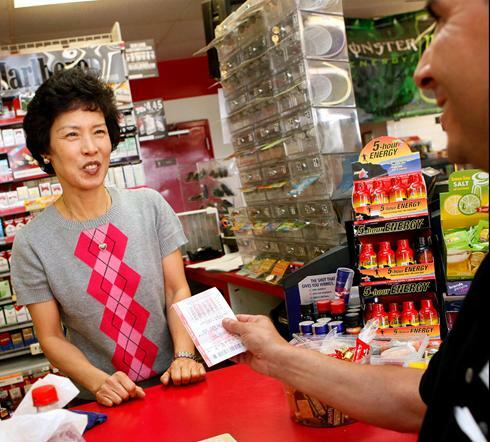 On a $50 scratch-off ticket bought in this rural farming community, Ginther won $10 million last month in her biggest windfall yet. But it was the fourth winning ticket in Texas for the 63-year-old former college professor since 1993, when Ginther split an $11 million jackpot and became the most famous native in Bishop history. But she's a celebrity who few in this town of 3,300 people can say much about. "That lady is pretty much scarce to everybody," said Lucas Ray Cruz, Ginther's former neighbor. "That's just the way she is." At the Times Market where Ginther bought her last two winning tickets, the highway gas station is fast becoming a pilgrimage for unlucky lottery losers. Lines stretch deep past a $5.98 bin of Mexican movie DVDs, and a woman from Rhode Island called last week asking to buy tickets from the charmed store through the mail. She was told that was illegal. The woman called back to plead again anyway.